Most computers on the market these days have the capacity to write onto CDs, DVDs, and other discs. Even if your computer doesn’t have a CD writer built into its hardware, aftermarket devices are readily available and inexpensive, making it easier than ever to burn home movies onto a disc, make digital “mix tapes” of your favorite music, or transfer any other information onto a disc. If you want to make your discs even more distinct, you’ll want to go beyond writing a description on the non-playing surface with a marker. The best tool for the job is a CD printer. You can find CD printers that print exclusively directly onto CDs or that print labels that you can affix to a CD. 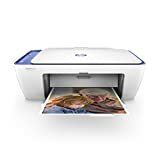 But then there are multipurpose printers, that print on various paper sizes and envelopes, but also serve as a scanner/copier/fax, and print on CDs, DVDs, and Blu-ray discs. Specialized devices: If you need to print a lot of high-quality CDs (or think you will need to do so in the future), you might want to invest in a device that only prints on CDs, DVDs, and related discs. Since they only have one job, these printers are an excellent option for specialized needs. For example, the Casio Disc Title Printer with QWERTY keyboard (CW-75) allows you to print text directly onto a CD. You insert the CD and type directly onto the CD, much like a typewriter. It also allows printing on CD labels, which you can affix onto the disc. Another device, the Casio CW-L300 Label-Biz Disc Title and Label Printer allows you to print onto a disc, or to print a label that you can attach to the disc. You can use the device's keyboard or use a USB connection to print the label from your PC. It is a thermal printer with a resolution of 200 dpi/128 dots. It can print up to 8 lines on the disc, in 5 different fonts, up to 4000 characters, in 14 different languages. It has an AC adapter or can use "AA" batteries. Multipurpose: A good multipurpose printer can handle just about any print job you might have, including printing onto CDs. While the print quality might not be quite as good as what you would get from more specialized devices, multipurpose printers make up for it by doing many other jobs as well: printing on paper, scanning documents and photos, photocopying, and faxing (for those who still prefer faxes). Image quality: Obviously, the main criterion for evaluating any printer is the quality of the images it produces. This is especially true for professionals (photographers, musicians, etc.) who need to have discs that can serve as advertisements in their own right. The best models produce reliably crisp, highly-detailed images. High volume: If you are looking for a printer that can print on just a few CDs at a time, this might not be important. However, many reviewers require lots of discs, and they are not shy about pointing out printers that can’t handle a large volume. Great printers can—they produce a high number of discs, all of which look good. But for really high volume jobs, the Primera DP-4100 series has one- and two-drive models, which can print up to 100 discs at a time. It can print a disc in 6 seconds, at 4800 dpi. When you insert a stack of discs, it picks up a single disc and burns the data to it. It then prints the design onto the CD. Printing speed: As with printing volume, this might not be a major concern for more casual users. However, the best printers can turn out high-quality discs without taking all day to do so. For example, the Dymo DiskPainter, which is exclusively for printing on discs, prints a disc label in about 1 minute 40 seconds. On the other hand, there are commercial printers that can print out 6 CDs or DVDs at once. You load the blank CDs into their respective slots, and it prints in a matter of minutes. Fast drying: The happiest reviewers are ones whose CDs and DVDs can be handled, packaged, and put away without having to wait a long time for them to dry. A disc will obviously take longer to dry than a piece of paper that comes out of a printer, but you shouldn’t have to wait all day. Open "My Image Garden" (the Canon software which manages your Canon printer). Select "New Art-> Disc Label"
Choose the Theme (Standard, Family, Anniversary), and press Ok. This will create the disc label outline. Select the background for the disc, and click Ok. Select the layout--how to locate text and background--and click Ok. Enter the text in the relevant fields. Remove the paper feed cassette from the printer. On the flipside of the paper feed cassette, you will find the disc tray, which is made specially for printing on blank CDs. Remove the disc tray, and reinsert the paper feed cassette. Click "Print" on the computer's printer interface. Insert a blank CD in the disc tray, and insert it in its special slot. Make sure that you align it with the indicator arrows. Press the "Print" button on the printer (or click “Print” a second time in the computer’s interface with the printer). The disc tray will be fed into the printer and will print on the blank CD. Laser printers print onto the label by using heat and pressure to apply the toner onto the label surface. The label will be able to withstand high temperatures, and will also have a very smooth surface. Laser printers will produce waterproof labels. But if you want to print in color on a CD, you must make sure that the labels are for a color laser printer (such as the Avery CD Labels Cat. No. 6692). Printing in color on labels suitable only for black toner will result in a CD that flakes and peels. Inkjet printers inject the ink onto the label's surface. The ink either gets absorbed into the label (which is made from a porous material for just this purpose) or dries on its surface. Inkjet printer labels are preferable for high-resolution printing of photographs and designs. Note: You should make sure that your labels match the type of printer that you have. Trying to use inkjet labels on a laser printer or vice-versa will produce labels that smudge easily, and may very well damage your printer! CD label format: When you buy CD labels, you will see that there are a number of formats, allowing for 2 CD labels on a standard A4 label sheet. (If you print out mini-CD labels, you can buy label sheets that allow you to print 6 labels on a single sheet.) There are a number of templates available for Microsoft Word, Adobe Acrobat, and other document editing software, which allow you to match the format of the CD label. Color and image crispness: Be sure to check out the printer’s specifications. If you know that you are going to need high-quality, full-color images, be sure to seek out a printer that can provide them for you. That will be determined by the printer’s resolution, which is given in dots per inch, or dpi. Functionality: If you know that you are going to need a lot of discs printed out on a regular basis, it might be worth your money to invest in a specialized printer. 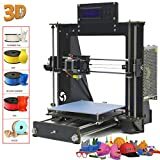 Otherwise, you might want to go with a high-quality multifunction printer, which will be able to serve all of your other printing needs as well. Ink: This is true for any printer you buy, and for any purpose: make sure that you look into the ink. 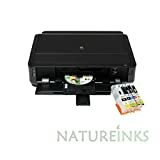 How much ink does the printer hold, how long can you expect it to last based on your expected use, and how easy (and costly) is it to find replacement cartridges? The Casio CW-L300 Label-Biz Disc Title and Label Printer has a tape cartridge for label printing and a specialized ink ribbon for printing directly on the CD. 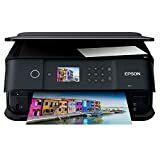 Among the All-in-One inkjet printers (that also scan/photocopy/fax, such as the Epson XP-830 Wireless Color Photo Printer (C11CE78201), you’ll see that they can have two ink cartridges, one for color, and one for black. 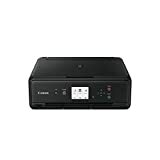 But then there are inkjet printers that require 4 or even 5 cartridges: There will be the standard black, as well as Cyan, Magenta, Yellow, and Photo Black. It’s better to have several ink cartridges in the printer: this way, when one ink cartridge is finished, you just have to replace that color, not the entire cartridge. Replacement cartridges: It’s important that you can get replacement cartridges for your printer. You’ll be able to get replacement cartridges for most of the big names in printers (HP, Epson, Canon, etc.) from your computer supplies store. But for some companies, such as Primera, you can only order replacement cartridges online, through the company itself or online retailers. 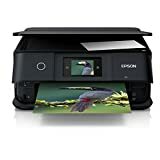 Some printers, such as the Epson Ultra High Definition R260 Photo Inkjet Printer, were notorious ink-guzzlers: one customer calculated that printing a CD would cost $3 worth of ink! So this is an important consideration. 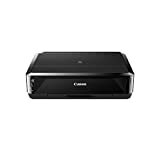 On the other hand, the Casio Black Ribbon (TR-18BK-3P) is a replacement ribbon for Casio's CW-50, CW-75, and CW-100 CD Title Writers that can print on up to 50 CDs or DVDs with 200 dpi resolution. At $6 per ribbon, that comes out to around 12 cents per disk! Speed: If you know that you’re only going to print one or two discs, and only on occasion, print speed isn’t going to be a major concern. However, if you need volume—or you think you might in the future—be sure to check the specifications and buy a printer that will be able to meet your needs. Copying a CD/DVD label: Sometimes, you don’t have the design of the CD on your computer, but you do have the CD. Some printers, such as the Expression Premium XP-900, allow you to place the CD whose design you want to copy on the glass platen. You scan it as you would any picture or document. Then you insert a CD or DVD into the disc tray, align it properly in its slot, and print. The printer will align the scanned image with the CD tray, and print it directly onto the CD. Canon: Canon is one of the world’s leaders in technology products. The company was founded in 1934 as a camera manufacturer and has since diversified its offerings to include a wide range of cameras, imaging devices, and other electronic accessories. Primera Technology: Primera is an American company with their headquarters in Plymouth, Minnesota. They specialize in CD and DVD publishers and printers, digital label presses, label printers, medical slide and cassette printers, and portable all-in-one printers. 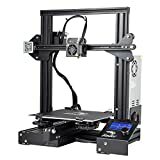 Their Primera Trio is the smallest and lightest All-in-One printer, weighing only 2.6 pounds, but still with the ability to print, scan, and copy. Dymo: Dymo is an American company that specializes in labeling devices. The company offers a wide range of label makers and printers for both home and office use. Their Dymo Disk Painter is their CD/DVD printer. 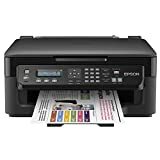 Epson: Epson is a Japanese electronics company, with their headquarters in Suwa, Japan. They were founded in 1942, and are a division of Seiko. 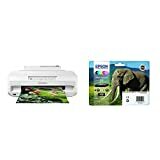 They make an assortment of printers, as well as scanners, desktop computers, home theater projectors, televisions, and more.